Ald. Melissa Wynne (3rd) speaks at a council meeting. The Transportation and Parking Committee, which Wynne chairs, recommended Wednesday that council approve an agreement with the Chicago Transit Authority to modernize the Purple Line. The Transportation and Parking Committee voted Wednesday to recommend approval for an agreement with Chicago Transit Authority to modernize the Purple Line in Evanston. According to city documents, the CTA has been seeking funds for the Red and Purple Modernization program, which includes a series of phases to improve stations and tracks from Belmont to Linden. The tracks were built nearly a century ago and are “at the end of their useful life,” the documents said. Over a five-year period, the CTA saw about a 40 percent growth in ridership at peak times on the Purple Line, pushing forward plans for the project, Mooney said. Throughout the next several years, the CTA plans to rebuild 21 stations and 9.6 miles of track and structure, Mooney said. The improvements to the track and stations will include the straightening of curves on the track, adjustment of signalling and renovation of stations to make them ADA accessible. Mooney said the upgrades will allow for ridership growth, as the CTA will run more trains and could potentially run longer trains. Ald. Melissa Wynne (3rd), who chairs the committee, said members hope the straightening of track curves and improvement the signalling will allow for an increase in speed, which the trains need. “The Purple Line is critically important to all of Evanston,” Wynne said. Construction for the first phase of the project will begin in 2019 at the Red-Purple bypass, Mooney said. She added that she expects the first phase to be completed in the mid-2020s, saying the project will take “so long” because the CTA can only work on two tracks at a time to keep its trains in service. Mooney also said the CTA needs to secure funds for the future phases. According to city documents, the CTA already has $2.1 billion for the first phase, but that money will not cover the improvements to the Purple Line in Evanston. The CTA already has funding from a Chicago Metropolitan Agency for Planning grant, though it requires a local match from Evanston. 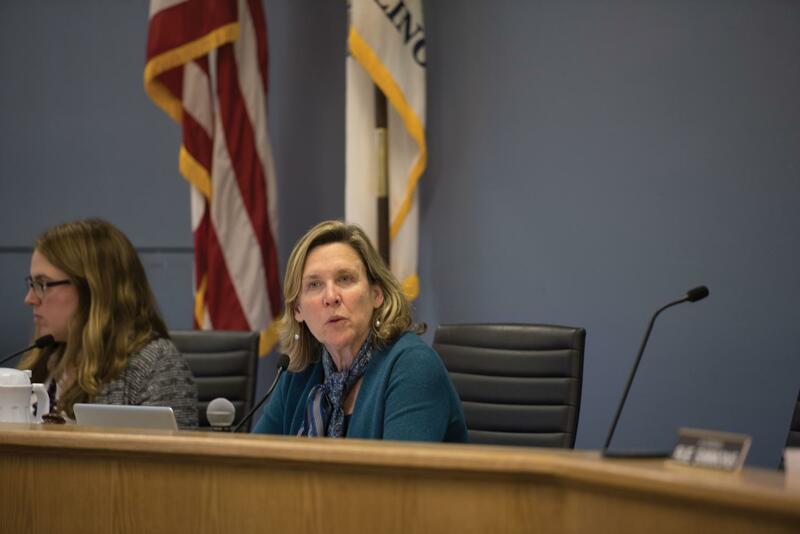 The documents state that Evanston may be able to use the remaining $1 million in the Washington National Tax Increment Finance district to provide the funds. In 2016, the CTA secured funding from a local Chicago transit TIF district, and Evanston has used TIF funding for smaller projects including the Fountain Square renovations.